When one thinks of nootropics or smart pills, the first drug that comes to mind is often Modafinil. 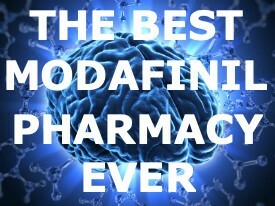 Over the course of a few decades, Modafinil has established itself as the de-facto king of all smart drugs. Who uses smart drugs and why? Smart drugs, specifically Modafinil, are used for both on and off-label purposes. The major on-label reasons for taking modafinil are to treat narcolepsy, obstructive sleep apnea, and to promote a healthier sleep schedule in shift-workers who often work odd late hours. But what about popular off-label uses? In 2012 the United States military named Modafinil as the only drug approved for Air Force pilots for fatigue management. The military refers to these drugs as ‘go-pills’. To this day Modafinil is the only form of energy-boosting smart drugs given to members of the military. Currently, the USA, China, India, Germany, the UK, France. Some believe that the military solely gives these pills to pilots. This is not so. Depending on many factors, if a mission exposes the troops to sleep deprivation. Modafinil has been the go-to solution for the world’s militaries as a very effective alternative to amphetamine which they had previously used before the advent of Modafinil. In the UK alone, Oxford University student magazine Cherwell found that 25% of British students admitted to taking study drugs. In the United States, a recent study of over 75,000 students indicated that over 30% of students admitted to taking smart drugs in the previous 12 months. About half of the students who said they used study drugs claim they got their modafinil from a friend, 6 percent got them from a family member, 10 percent bought them online and only 4 percent actually had been prescribed the medicines. Professionals around the world, most notably in the high function Silicon Valley, modafinil and other study drugs have played vital roles in productivity. In a professional environment, a high functioning, non-fatigued, zeroed-in focus and a perked up memory can be what makes or breaks you. Professionals in careers that require their brain’s performance be almost Limitless, like the Silicon Valley, thrive on smart drugs. Numerous programmers, software engineers and even CEO’s in the Valley have admitted to the liberal use of smart drugs and attribute drugs such as modafinil as key factors in their success. While these three groups are well known for their acceptance of smart drugs, there remain many other types that take the drugs just to get an overall edge against the world-at-large. I could go on for days about the number of writers, athletes, gamers and other walks of life that also take study drugs to enhance their cognition, but that’s for another day, another article.